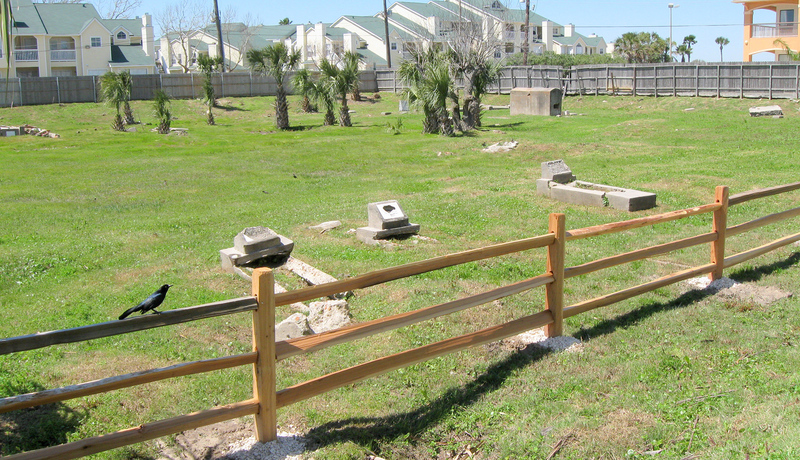 Rosewood Cemetery, Galveston’s first burial ground designated exclusively for African Americans, founded in 1911, was donated to Galveston Historical Foundation (GHF) by local developers John and Judy Saracco. The cemetery was part of an eight-acre parcel of land at Seawall between 61st and 63rd streets that Saracco purchased in the early 1980s. Since then, a Comfort Inn, Super 8 Motel, Waffle House and Beachcomber Inn have been built on the property that surrounds the cemetery. The cemetery sits directly behind the Comfort Inn off 63rd. Knowing when he purchased it that the property he planned to develop contained a burial ground, Saracco says he had the land fully surveyed for graves before development began. He then had the cemetery fenced so the graves would not be disturbed. 411 graves are listed in records as being located at Rosewood. Today, markers exist for only around 20. The last known burial date is listed as 1944. The Texas Historical Commission has designated the burial ground as historic, creating a protection for the property requiring that it always be maintained as a cemetery. The cemetery was established in 1911 by a group of African American citizens who organized themselves as the Rosewood Cemetery Association. The association purchased the land from the Joe Levy Family and 86 shares were divided among 26 shareholders. Churches, associations, societies and individuals, including the Wright Cuney Lodge, purchased the shares. The first person buried was Robert Bailey on February 1, 1912, and the last burial was Frank Boyer on June 29, 1944. On September 7, 1945, one of the shareholders sold 19 shares to Thomas Armstrong. In 1957, Armstrong purchased the remaining shares of the Rosewood Association. 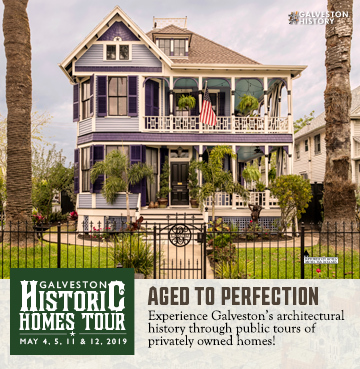 Upon Armstrong’s death, his estate sold the property to Saracco, the person who has now donated the cemetery to GHF.The original cemetery was approximately eight acres in size. Today, all that remains, a space a little more than an acre in size, is what has been donated to GHF.